Want to know how to convert MBOX file to PDF format? Looking for a feasible solution without any loss of data? 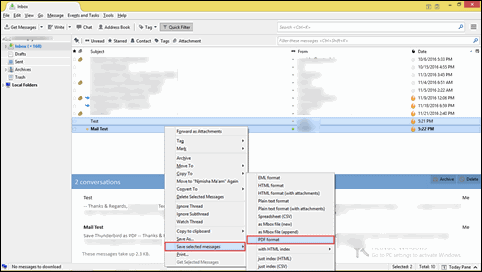 Want to migrate emails attachments also from MBOX data to PDF format? Do not need to worry, this blog will let you know how to export MBOX to PDF with attachments in a seamless manner. In this fast growing world, everyone needs to have quick access to their important without any dependency. 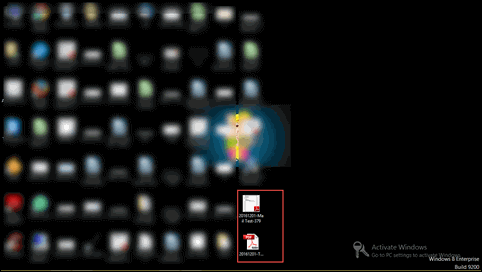 Email client used by the users to perform their official work contains lots of crucial data and emails. Now, all the data in the mailbox is stored in particular file format, which is opened by the same application. So, to access data anywhere without any hassle, a user is advised to use some file format that is not dependent on any application. PDF format by Adobe is one such format that one can use without any hassle. This file format is supported by multiple platforms. On the other hand, MBOX file format is supported by a number of an email application. So, when it comes to using mailbox data without any restriction, users prefer to save Thunderbird mail as PDF. After migrating MBOX database to PDF format, a user can easily access the mailbox data on Windows & Mac OS, iPhone, Android phone, etc. Thus, this blog will discuss both manual and professional solution to export MBOX to PDF format. Conversion from MBOX file to PDF format is not at all an easy task to perform. 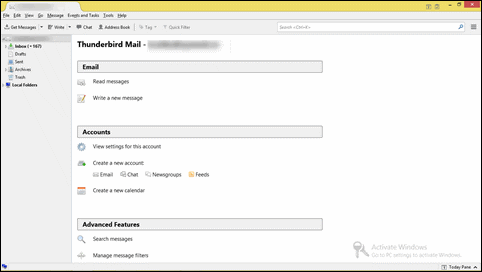 But a user can do this with the help of Mozilla Thunderbird application also. Apart from this manual procedure, a user is advised to use a third-party tool also named as MBOX Viewer Pro. Both of the methods are discussed below in this segment. 1. 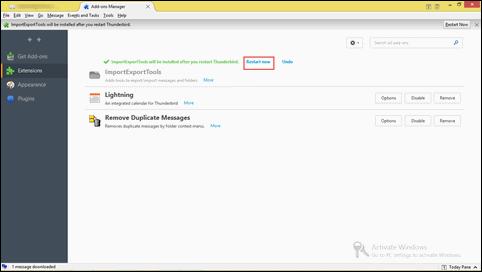 First of all, download and install the ImportExportTools free plug-in from Mozilla Thunderbird official site. After that, you need to open Thunderbird application on the system. 2. Next, navigate to Tool option and click on the Add-ons option to proceed further. 3. Then, in the Add-ons Manager tab, choose Settings option and click on the Install Add-On From File option. 4. 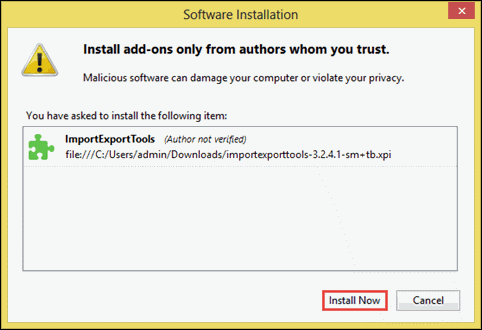 Now, navigate to the location where ImportExport add-on was saved to export MBOX to PDF in the Step (1). Choose it and click on the Open button. 5. After that, add-on installation screen will pop-up in front of you and click on the Install Now button. 6. Next, you need to restart the Thunderbird application to make sure that add-on is installed successfully. 7. Now, it’s time to import emails from Thunderbird to PDF format. 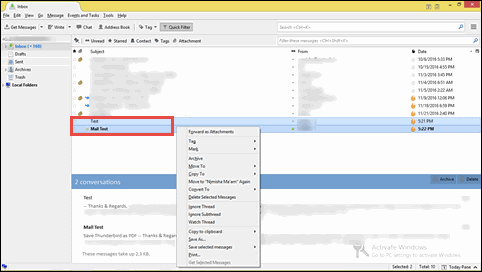 Select the emails from Thunderbird, which want to export MBOX to PDF format. Right-click on the selected emails and proceed further. 8. Then, click on the Save Selected Messages option and choose PDF Format from the file formats list. 9. A warning message will appear in front of use, click on the OK button to continue. 10. 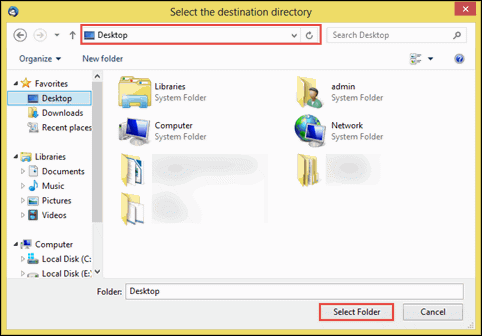 Now, Browse to the desired location where you want to save the PDF documents and go to the Select Folder option. 11. Now, wait for few seconds and after that check the location where resultant PDF saved in step (10). After this, you will be able to see all emails in PD format without any trouble. A manual solution is always a perfect approach to export MBOX to PDF format. It is not able to export attachments to PDF format. Moreover, when it comes to multiple MBOX files, the manual method becomes a really time-consuming task to perform. Thus, one is advised to look for some alternative to migrate MBOX to PDF format. SysTools MBOX Viewer Pro software is one such utility that let allows users to view MBOX file emails and convert it to PDF format. Moreover, the application is also capable to export all attachments also from MBOX file to PDF format. A user can easily use this application on any version of Microsoft Windows OS. PDF file format is the standard format to exchange information and easily accessible on any platform without any dependency. Thus, users want to export MBOX to PDF format and get an easy access to their emails everywhere they want. Therefore, keeping this requirement of users in mind, we have discussed all possible solutions to do so. In order to have an effortless and reliable approach, a third-party tool is suggested above that one can use without any hassle.